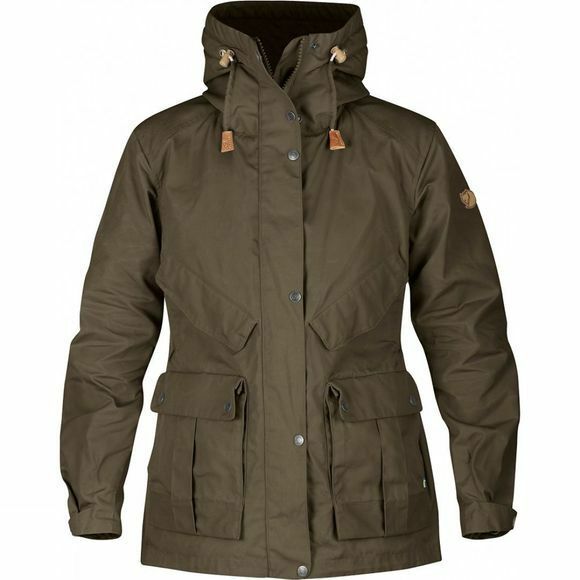 A durable outdoor jacket with well thought-out functions for demanding treks all four seasons of the year. The hood of the Women's Jacket No. 68 can be adjusted for a perfect fit around the head, and a visor construction means that you can fold the visor back from two angles, depending on whether you want maximum wind protection or more peripheral visibility. When not being worn, the hood forms a high collar that keeps your neck warm. Plenty of storage for a map, GPS, two-way radio and other necessities in the two diagonal breast pockets with flaps, two large bellow pockets at the hem and two pockets in the back. There are also two inner pockets, of which one is zipped. Extra fabric at the armpits and bellow pleat at the back provide excellent mobility. Buttoned sleeve cuffs. 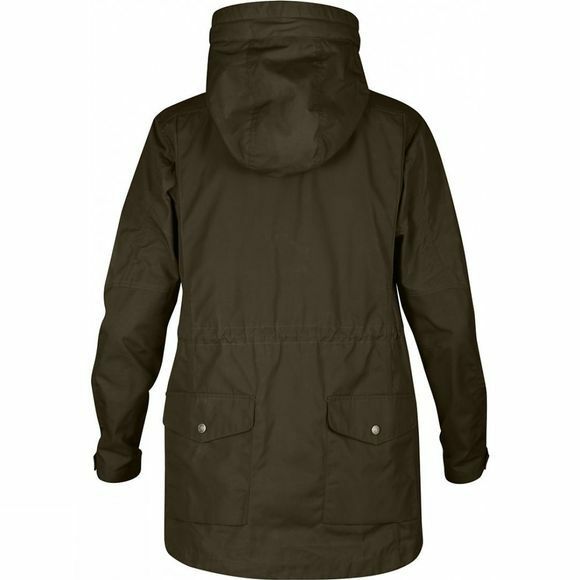 The jacket is made from wind and water resistant G-1000 Eco in recycled polyester and organic cotton with extra strong G-1000 HeavyDuty at the shoulders, sleeves and pockets. The fabric and details were chosen to minimise their impact on the environment – for example most of the leather details are made from leftover pieces of leather – and to make it easy to replace exposed sections after years of use.